This was our third consecutive appearance trading at the annual show held by Burgess Hill MRC, our stall this year being in the gymnasium of the Burgess Hill School For Girls. 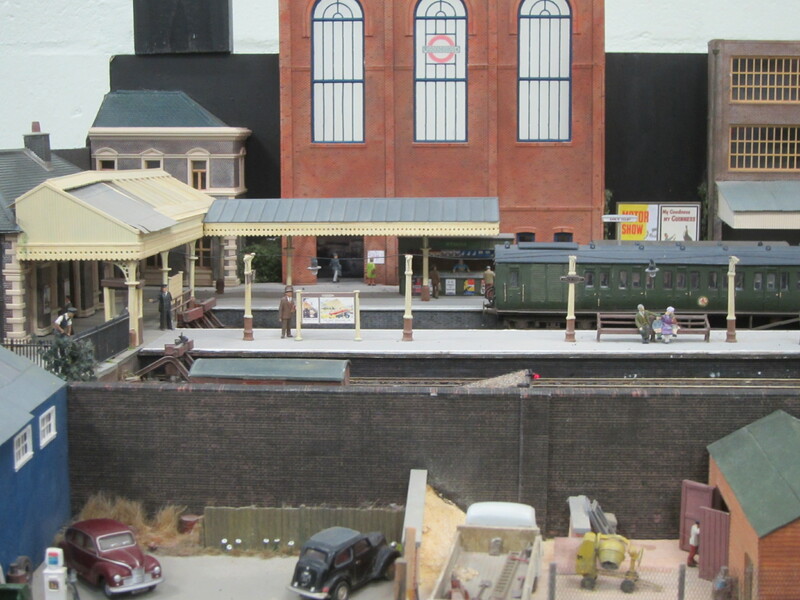 The school was going through a period of change with some re-building and alterations in progress, the Model Railway Club being concerned that this could have led to the show not being up to their usual standards. They needn’t have worried. Being a one-day show this event attracts some of the smaller layouts on a more manageable scale, layouts that can be built and run by an individual at home as well as by a group in a club house and usually depicting a compact setting rather than a main line diorama. ORESTONE QUAY simply displayed a quayside tramway in the old Southern Railway days, no main line trains whizzing through here, just a plodding loco with a few trucks. BATCOMBE with it’s one platform terminus bringing in non-existent holiday makers into a dead-on-it’s-feet resort somewhere on the Dorset coast was another example, while EARLS COURT depicted a ‘what might have been’ scenario had the West London Line been given a branch to this destination. Again, a simple layout with just the rail terminus playing host to local trains. 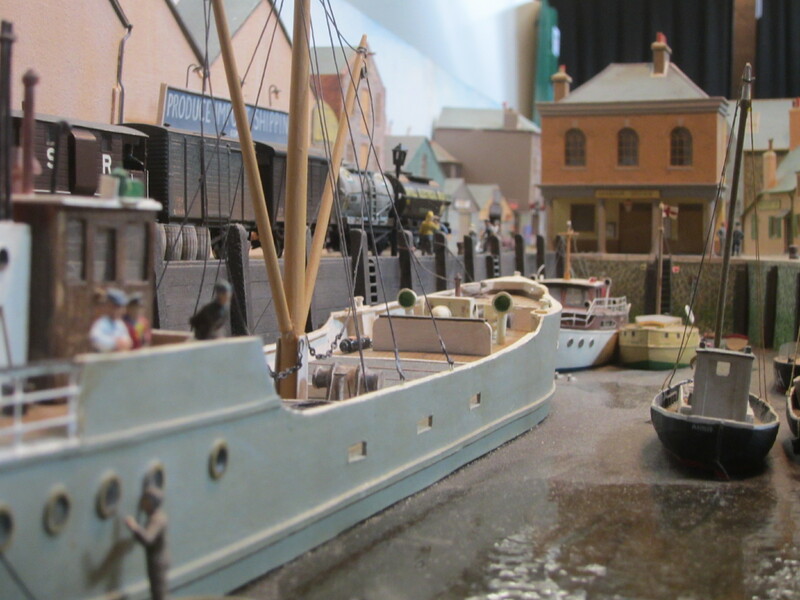 The larger layouts in attendance were actually on a on a smaller scale, notably ‘N’ gauge and therefore able to depict a wider scene in a smaller space as well as being quicker and easier to set up. As with all model railway shows and bus rallies we trade at the welcome and assistance given to Gina and myself was second to none and we extend our gratitude to Burgess Hill Model Railway Club for putting on a good show, we look forward to seeing them again in 2015.